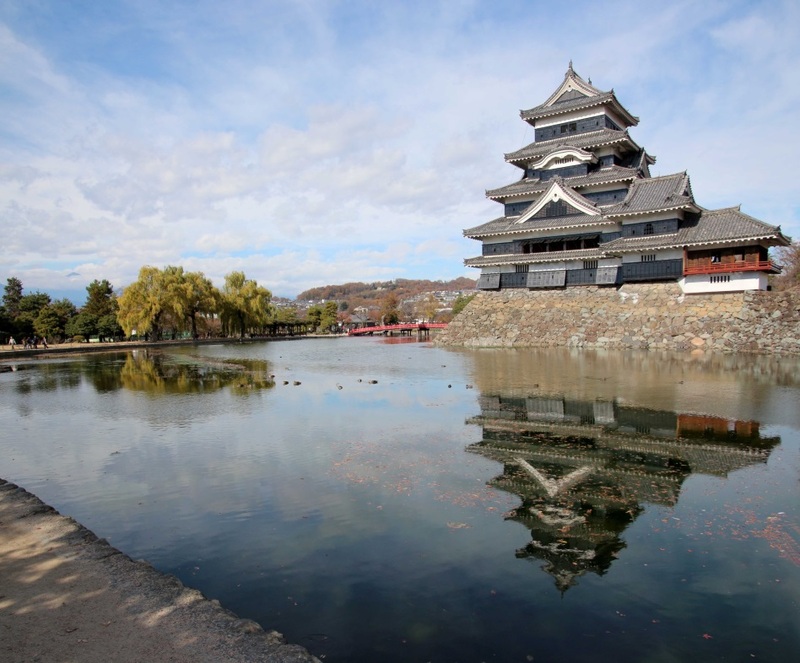 When I was making my travel itinerary, my husband told me he wanted to see the black castle of Matsumoto. 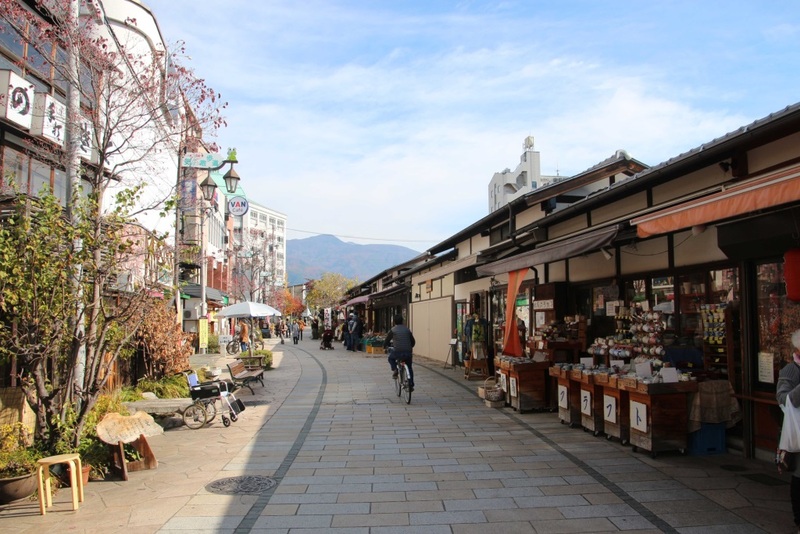 Before we would pick up our rental car in Matsumoto, we had a few hours to visit the city. Of course the Black Castle was on our top list. This castle is also known as the Crow castle, as the color is black and it is build in 1592. 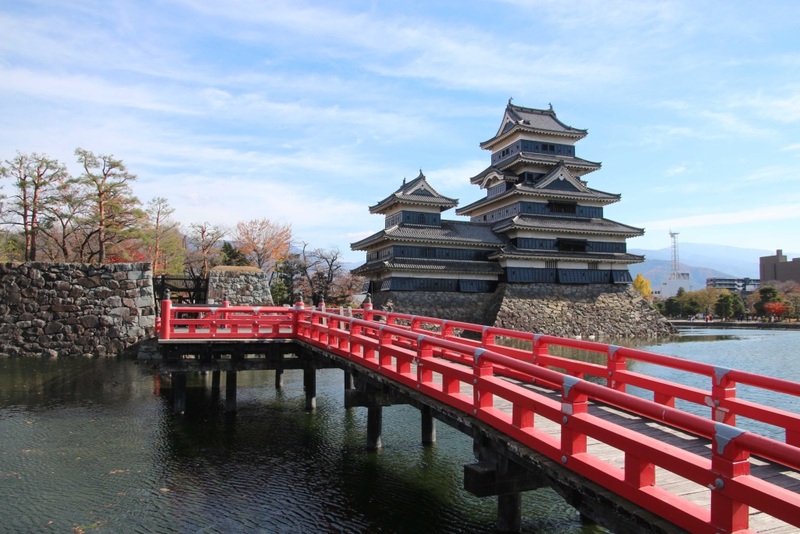 A red bridge would lead to the castle, but for unknown reason this bridge was closed. The entrance of the castle is on the other side. 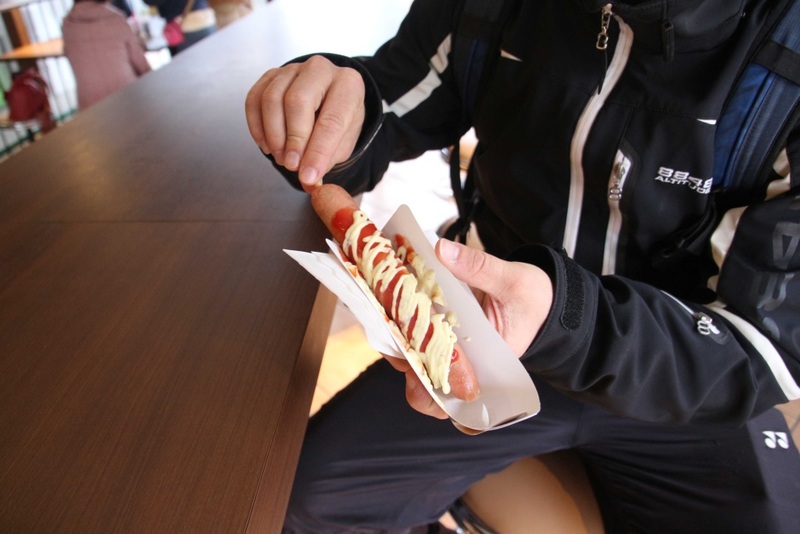 I decided to enjoy and relax at the park and my husband would enter the building. There were a few items displayed, and the interior is made of wood. The view from the upper floor was beautiful and worth the entrance fee. After the visit we could pick up our rental car and drive to Takayama. Renting a car was really easy with Toyota. The website gives the final price, no extra charges when you pick up the car. Pick up and return were both fast and easy. I can recommend taking an English navigation, or else it will be hard to find your way. A side note; driving in Japan is on the left side of the road! 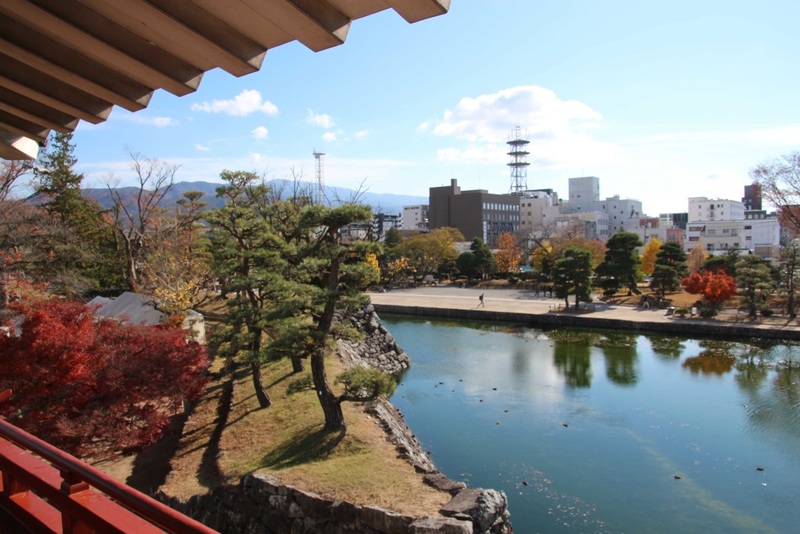 We stayed one night in Hotel New Station, which is only a few minutes walk from the train station of Matsumoto. 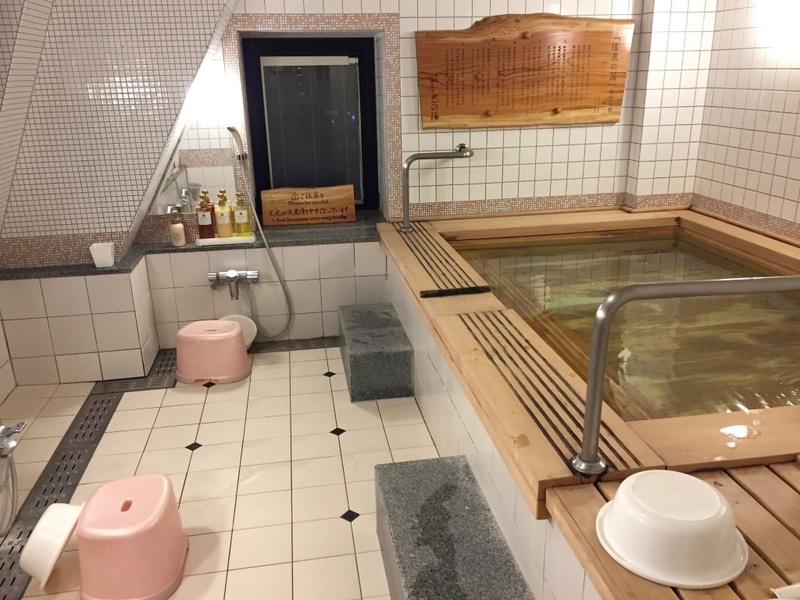 The bed and room is a little small, but the onsen on the 7th floor is really nice and big! I really can recommend staying here! 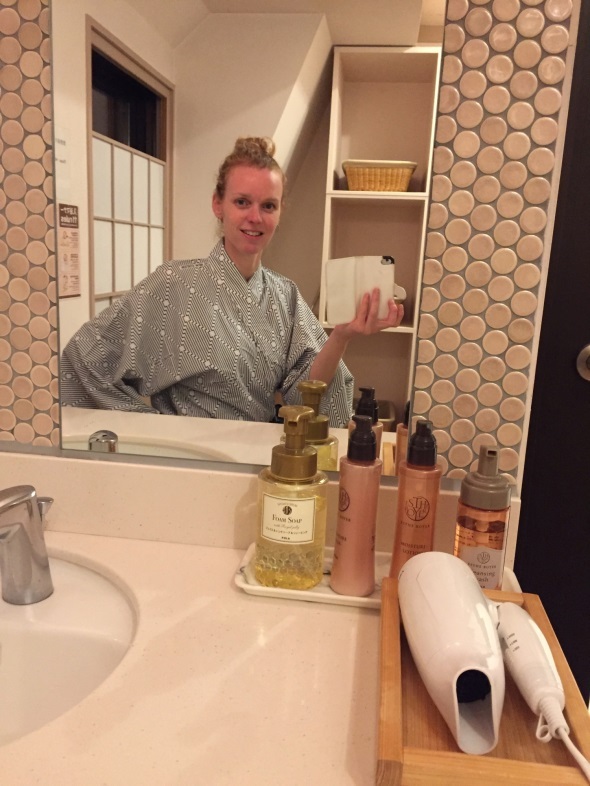 When we returned from Takayama, we had one night before we would continue to Kawaguchiko. We had an afternoon to explore more of the city. This day was cold, dark and raining. 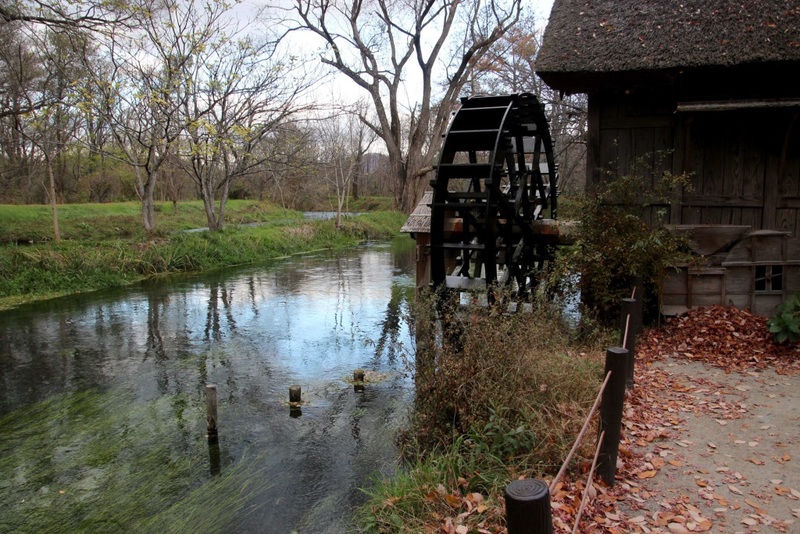 Because we have seen the castle, we headed to Daio Wasabi farm. Of course we both know wasabi, as we like to eat wasabi with our sushi, but we had no clue how this plant grows and how the wasabi is created. To get there we needed to take a train to Hotaka, which would take about half an hour. From there it is about 45 minutes walk, or you can rent a bicycle and then it would take about 15 minutes. We decided to walk to the farm and we got a map with instructions from the tourist office across the train station of Hotaka. First part we walked trough the town of Hotaka, which was not very spectacular. 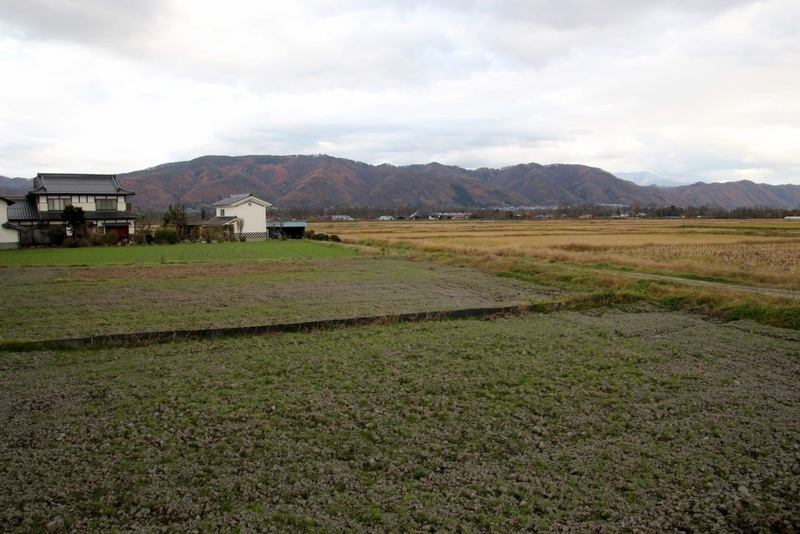 Then we came across some fields at the outskirts of Hatoka, in the background we saw mountains. The clouds gave a dramatic view. But we managed to stay dry. Daio Wasabi Farm is free of charge. 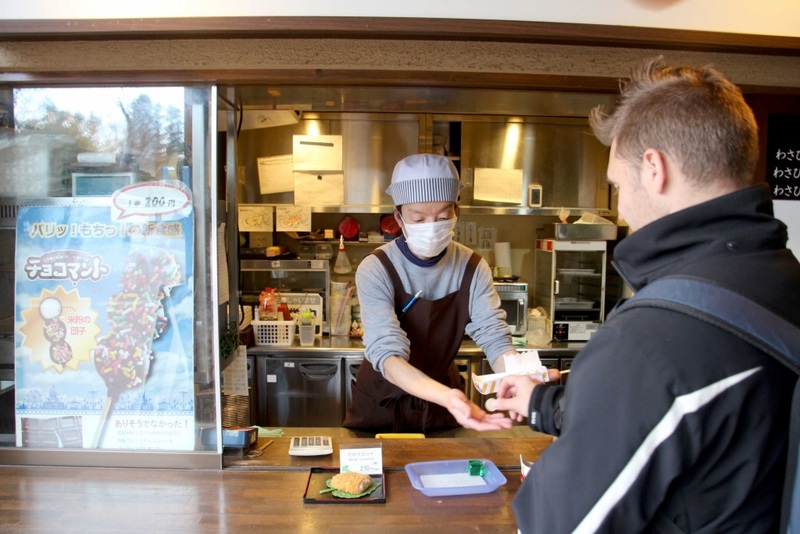 You can walk around freely and there is a restaurant and a few eateries where they serve food with wasabi. 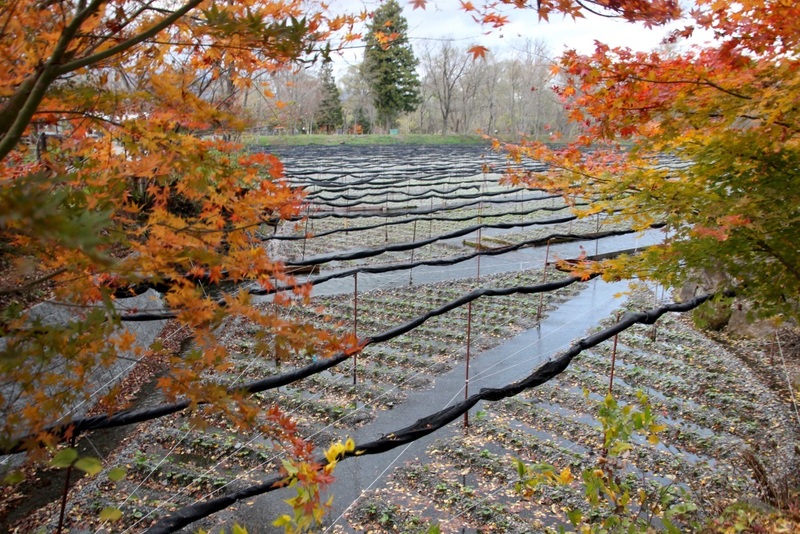 The wasabi farm is founded in 1915 and it is the largest wasabi farm in Japan. 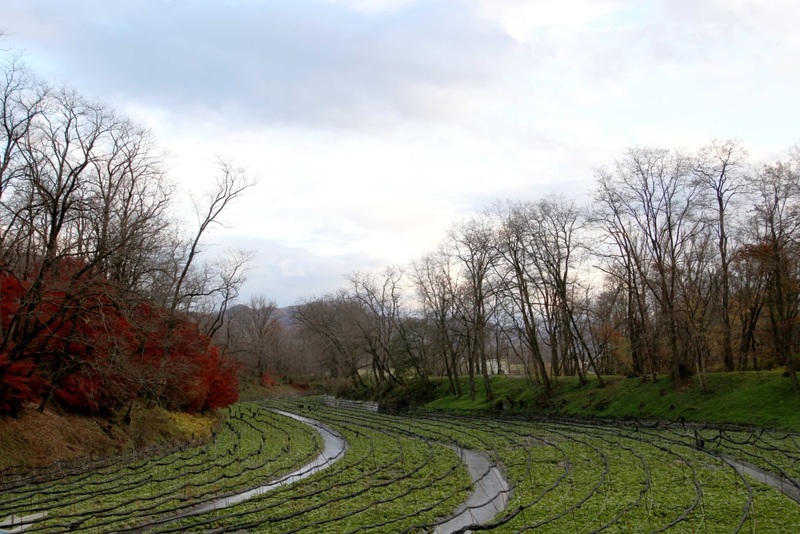 Wasabia japonica is the name of the plant and the actual wasabi is made from the roots of the plant. 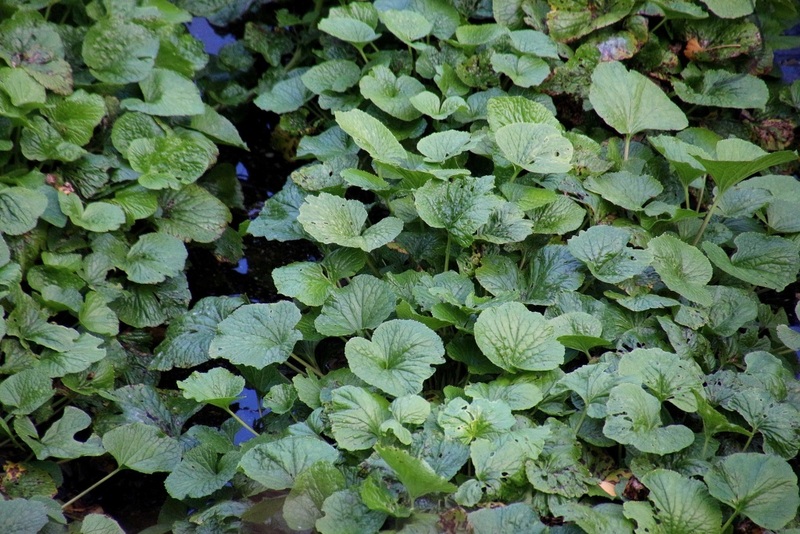 The wasabi plant grows in the water and this water needs to be stable temperature of 10-15 degrees. 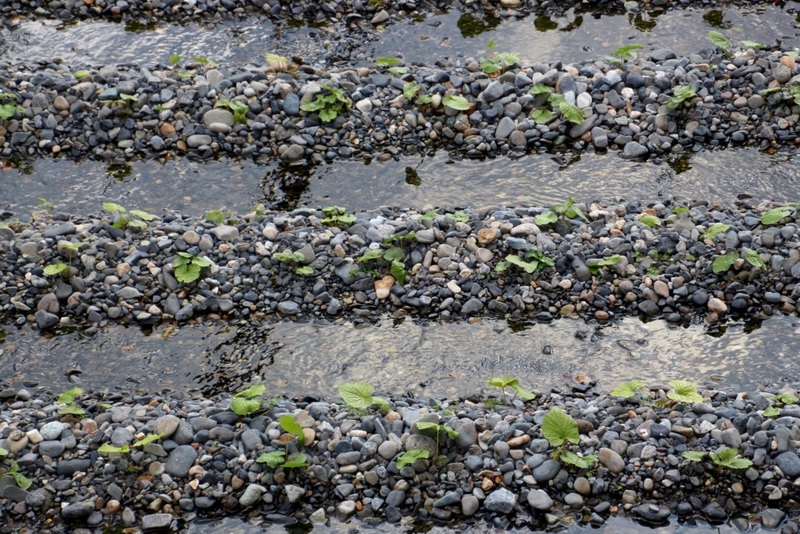 This water needs to be flowing, so they created an innovative irrigation system. Before they can harvest the plant, it need to grow for about 2 years. All these pristine conditions are the reasons why the wasabi is expensive. 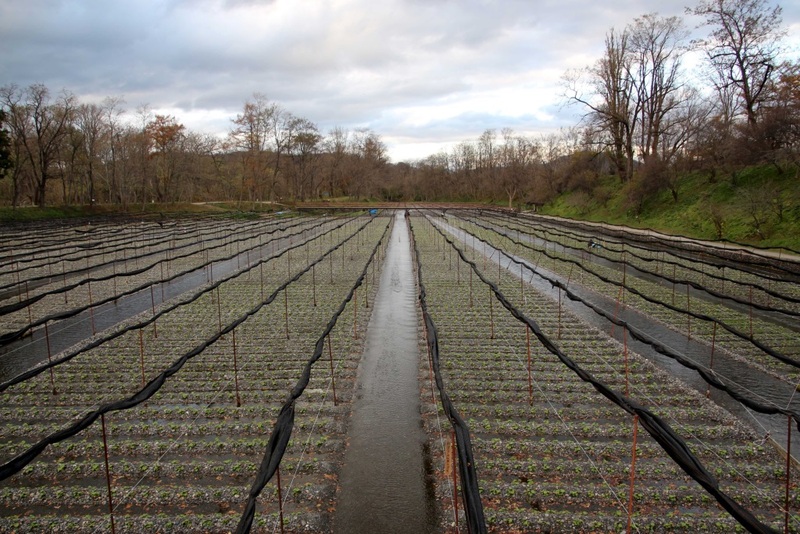 The wasabi farm had multiple large fields with a well maintained network of streams to keep the plants growing. 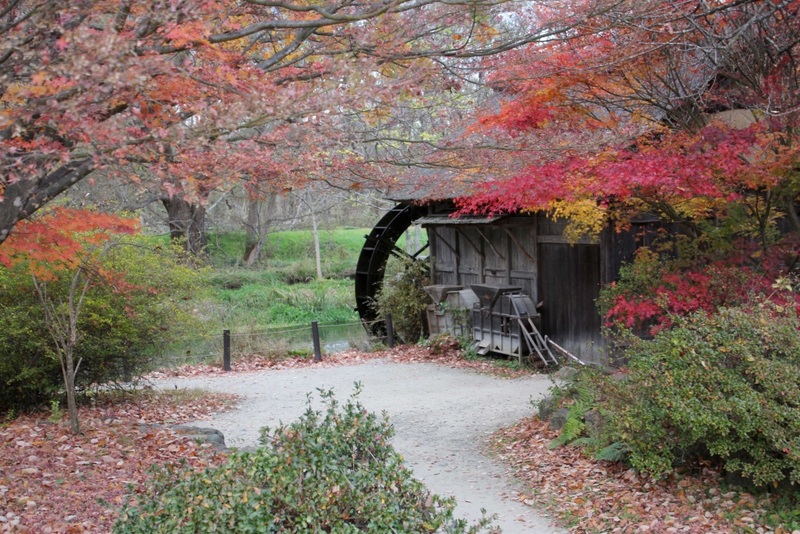 I think the scenery of this farm was really nice, it is spread out over a large area, so even there are many (local) tourists it doesn’t feel busy. Unfortunately, it was not possible to take a tour, nor could we find a place like a museum so we could learn more about the process from a little baby wasabi plant until wasabi on our sushi. But it was very interesting to see how they were planting the little plants and how the irrigation of the flowing water looks like. The scenery was beautiful and really worth the effort to get here. From Matsumoto take a train to Hotaka. From the train station you can either take a bus (only in Summer), a rental bike or just walk for about 45 minutes.